Do you have the next great product idea but not sure where to start? Get on your way with three easy steps that you can use to gain support to bring it to market. 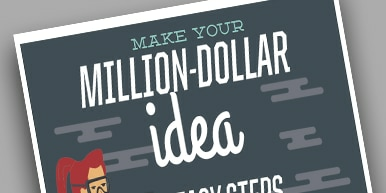 Do you have the next million dollar product invention idea but no idea where to start? Engineers are always coming up with new product ideas for their companies or looking to do something themselves. No matter which direction you would like to go with your great idea, we will get you on your way with three easy steps. The first step is to get that idea out of your head and into your hands as a digital or physical prototype. Then you will need to do your research through the discovery phase and plan for the manufacturing. Lastly, we will help you dive into getting the product into the hands of your customers where the money is made. If you’re saying “I have an idea,” follow these steps to make your invention idea a reality.